I’m going to give February a HUGE Hey Girl Hey because January lasted FOR-EV-ER! 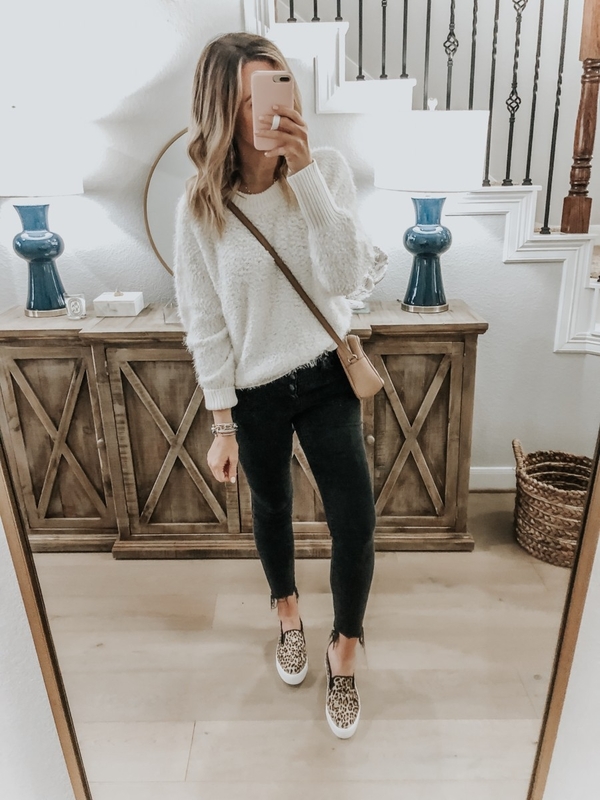 Even though January was kind of a blah month, I felt like we were having a huge favorite things party when it came to sharing all the things we loved. To recap all the greatness I wanted to share the top ten things you guys loved most! 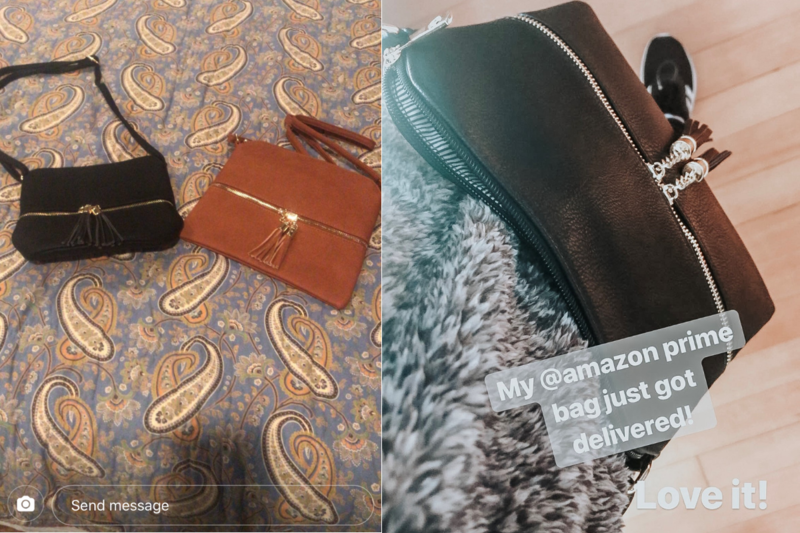 Love seeing all of your bags come in! 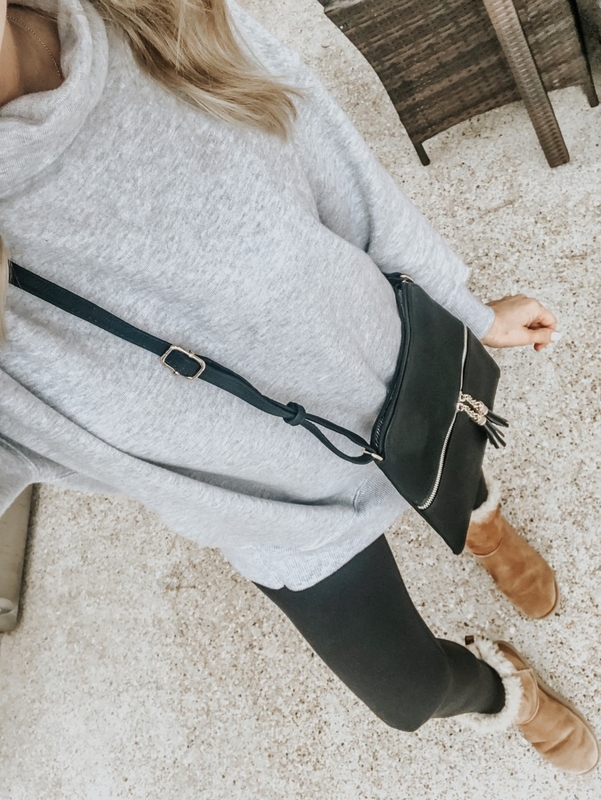 Crossbody Bag – Comes in multiple colors for less than $13. 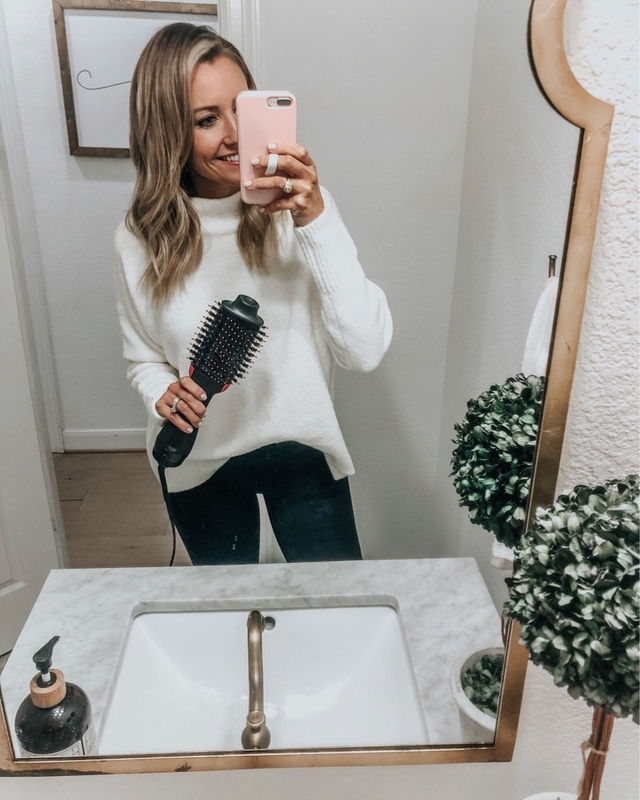 Revlon One Step Hair Dryer – This hair wizard has taken the tangles out of using a round brush and blow dryer. It will seriously change your hair game! 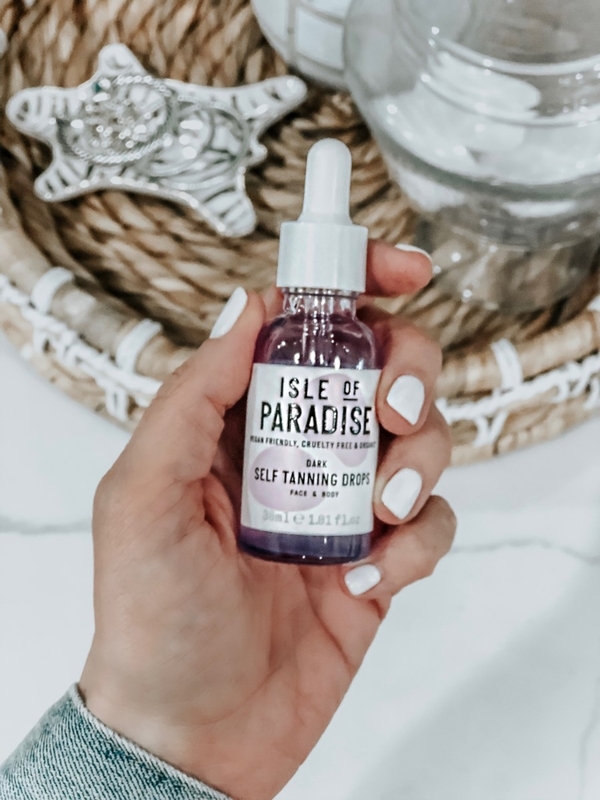 Self Tanning Drops– I call these magic in a bottle! Mix a 4-5 drops in with your body lotion for a golden bronze glow. You can also mix with your facial moisturizer. I shared them last week in my 5 Minute Face post and ya’ll sold them out in a hot minute! I wear the shade dark (purple color). If you do get a dark spot (ankles, knees, etc) try this tan eraser out! 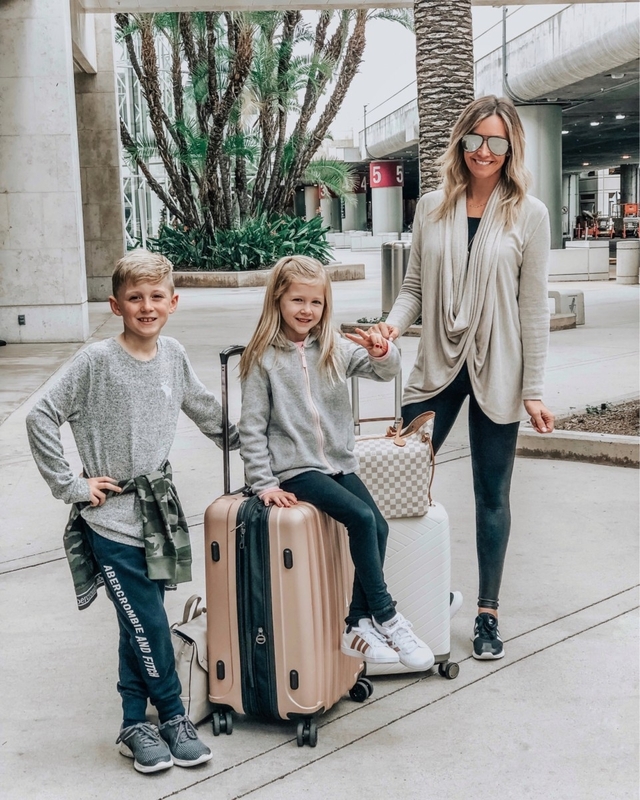 Long Wrap Cardigan– On Sale Under $40. Size up if you are larger busted. 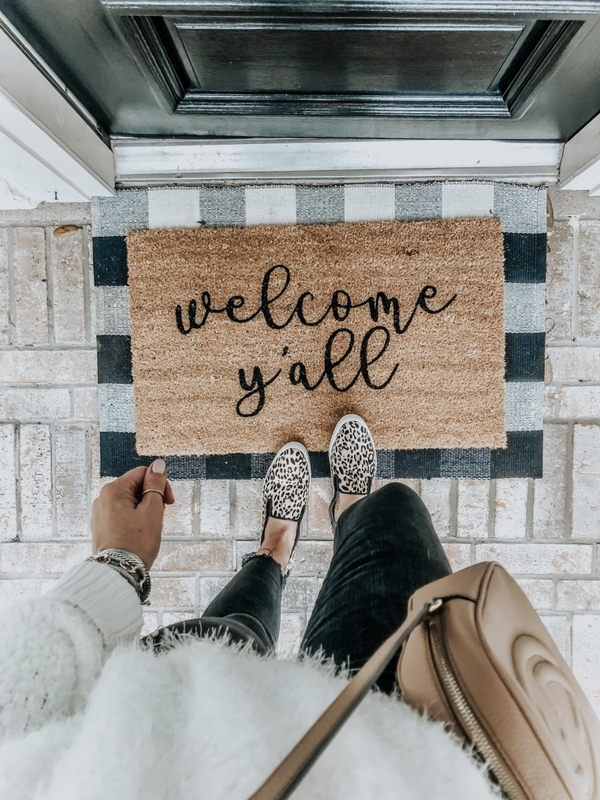 Plaid Door Mat – Use by itself or layer with a fun doormat like this one! 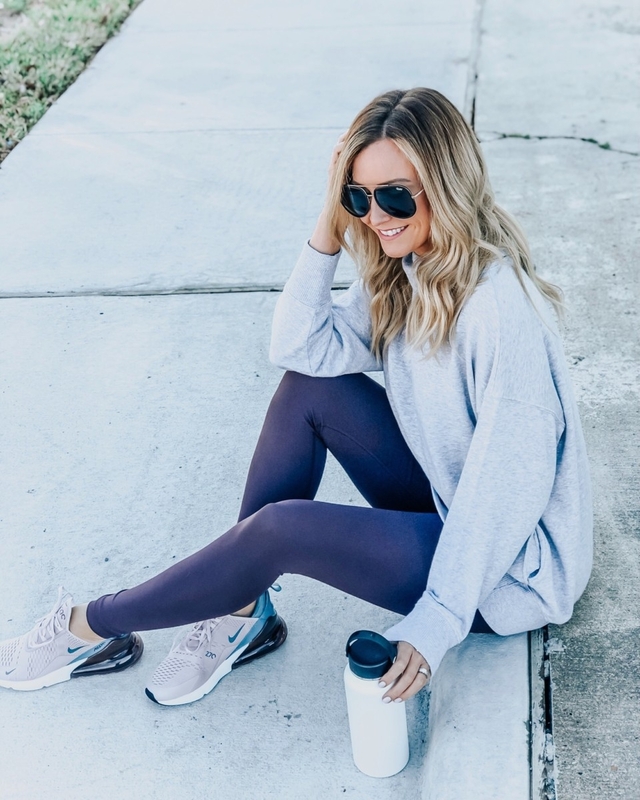 Leggings – The best leggings for under $30. 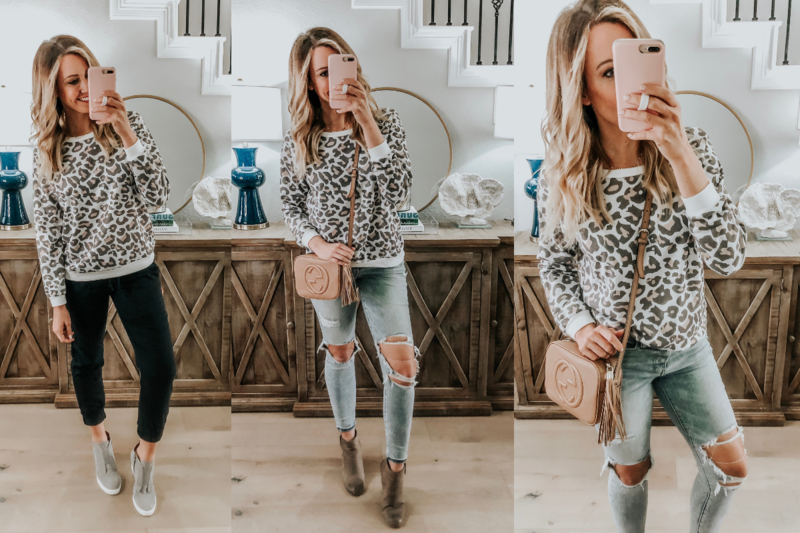 They run true to size and I have them in four colors! Grab the cropped version here. 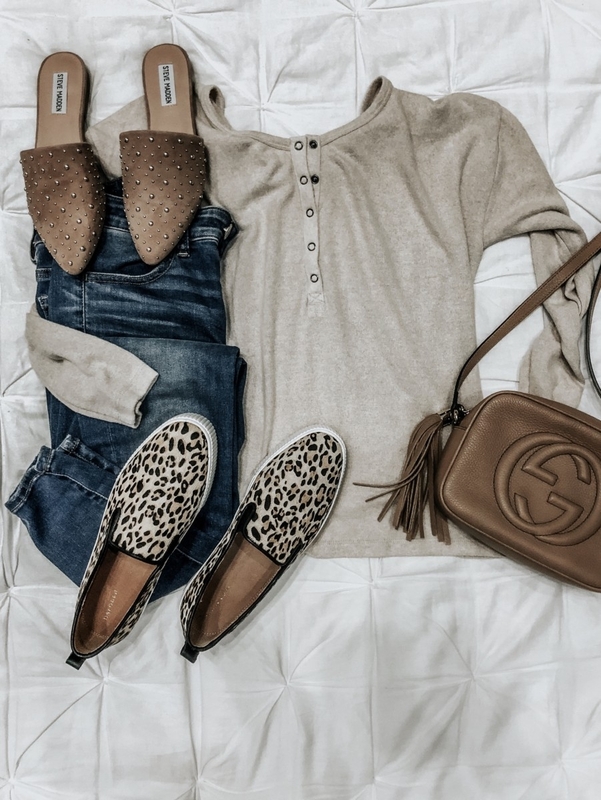 Leopard Slip On Sneakers – Perfect with jeans, shorts or casual dresses. 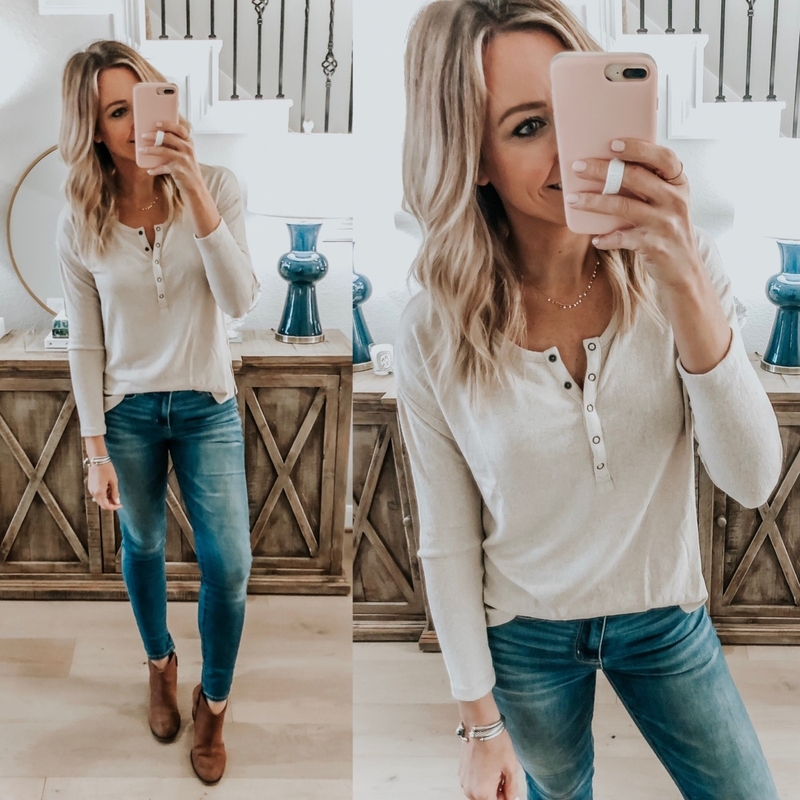 Button Front Henley– True to size. Perfect for layering with a vest or cardigan. Lace Midi Dress– Perfect for every occasion. I have this dress in White, Lilac and Navy! Size Up.